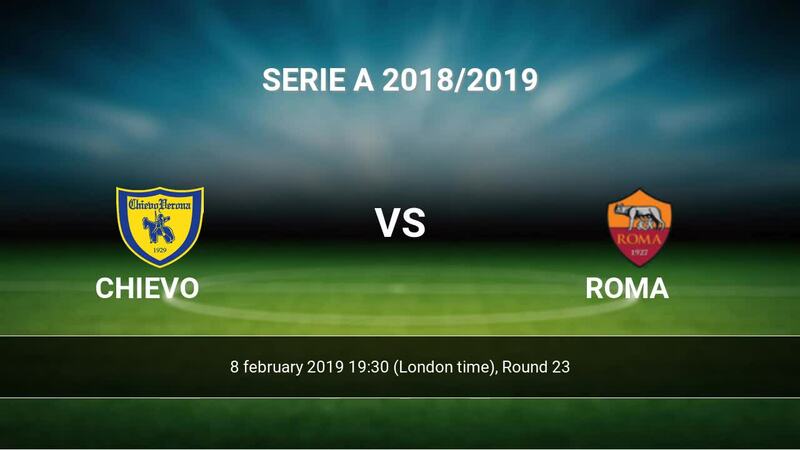 The match Chievo-Roma Serie A will start today 19:30. Referee in the match will be Rosario Abisso. 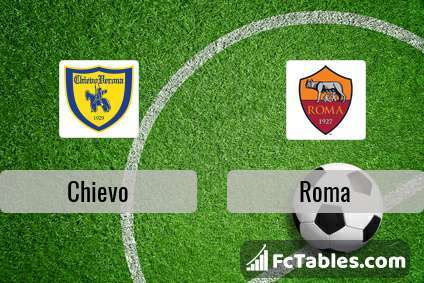 Team Chievo is in the releagtion zone of the table. 20 position. Chievo in 5 last matches (league + cup) have collected4 points. 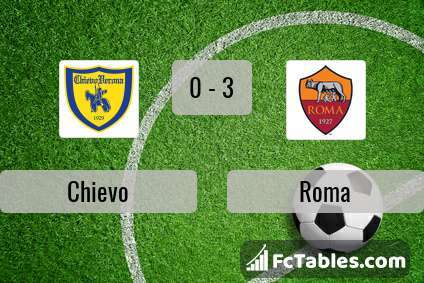 Chievo did not win the match from 3 games. Leading players Chievo in Serie A is: Mariusz Stepinski 6 goals, Sergio Pellissier 4 goals, Emanuele Giaccherini 3 goals. Players Mariusz Stepinski 1 assists, Sergio Pellissier 1 assists, Emanuele Giaccherini 1 assists will have to be very well guarded by defenders Roma, because they have the most assists. In Chievo not occur in the match due to injury: Sergio Pellissier, Nenad Tomovic. Team Roma is located in the middle of the table. (7 place). Last 5 games (league + cup) finished balance 11 points. From 2 matches can't win a match. Roma has not been defeated from 5 matches. The best players Roma in Serie A, who scored the most goals for the club: Stephan El Shaarawy 7 goals, Aleksandar Kolarov 5 goals, Bryan Cristante 4 goals. Most goals developed: Stephan El Shaarawy 1 assists, Aleksandar Kolarov 2 assists, Bryan Cristante 3 assists. Injured players Roma: Robin Olsen, Diego Perotti, Cengiz Under. Direct matches: usually ended with winning of Roma. 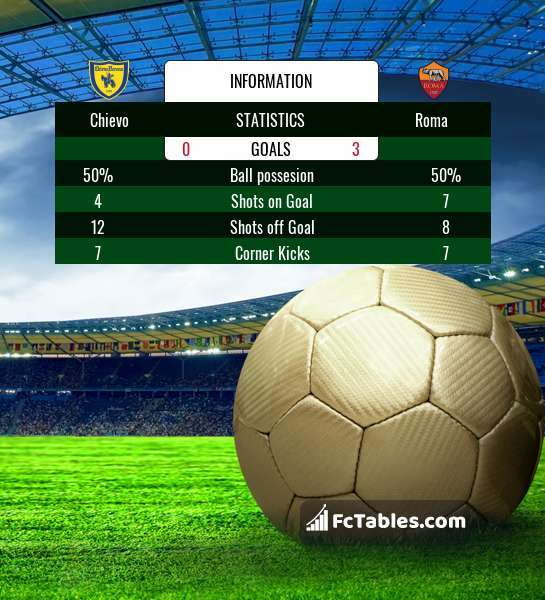 Balace of both teams games are: 3 won Chievo, 17 wins Roma, 13 draws. In 16 matches the sum of the goals both teams was greater than 2.5 (Over 2.5). On the other hand, 20 matches teams scored more than 1.5 goals (Over 1.5). In 11 matches the both teams have shot at least one goal.